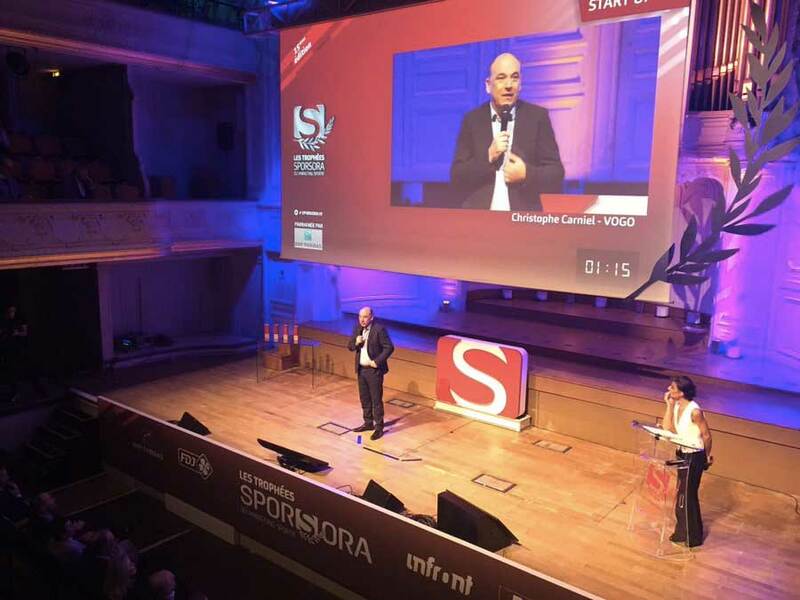 VOGO, proud to have won the SPORSORA GOLD AWARD in the Startup category! SPORSORA is a 25 year-old inter-professional organisation serving the general interest. It brings together more than 200 players in the sports economy. SPORSORA aims to improve communication, marketing and innovation in the field of sport by addressing real problems and offering events such as the “SPORSORA Sports Marketing Trophies”. SPORSORA Sports Marketing Trophies allow candidates to compare themselves with the best initiatives in the sports market, increase their visibility and enhance their performance. 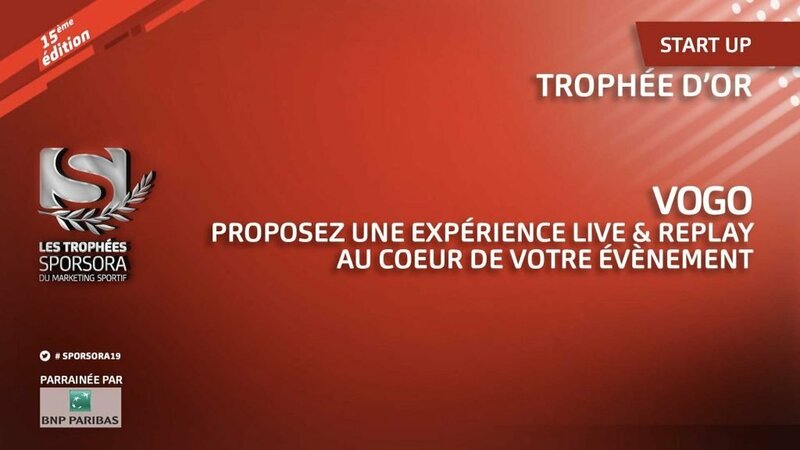 For the 15th edition of the SPORSORA Trophies, a committee of experts chaired by Nathalie BOY DE LA TOUR, President of the French Professional Football League (LFP), choose VOGO SPORT among 2 other finalists in the Startup category. The aim is to reward the French startup that has developed the most innovative solution and the most appropriate response to the needs of the sector. Creativity, simplicity of implementation, effectiveness of the response and its potential for success were taken into account. The award ceremony took place this evening, Monday, February 11, 2019, in the beautiful Salle Gaveau in Paris. Christophe CARNIEL, CEO and Co-Founder of VOGO, presented the VOGO SPORT solution to the audience. After a few minutes of suspense, VOGO was elected as the winner of this SPORSORA trophy, half by the committee of experts and half by the voting participants! The company, which had already stepped in the past on the podium of the SPORSORA Trophies, is very honoured to have won this award today, and will be able to take advantage of this additional visibility to carry out new sports projects!